New Delhi: India can return to a growth rate of 8-9% in a couple of years as its strong policies, both fiscal and monetary, have helped it withstand the external shocks of the global food, fuel and financial crisis, World Bank President Robert B. Zoellick said. India’s 11th Plan (2007-12) envisaged an average growth rate of 9% during the period, but slipped to 6.7% in 2008-09 as a result of the global crisis, after growing around 9% for three years. N.R. 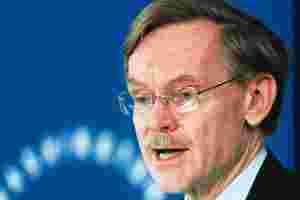 Bhanumurthy, a professor at the Delhi-based National Institute of Public Finance and Policy, said Zoellick is not being over optimistic. “We have also predicted a growth of 8.2% in 2010-11 and 9% by the end of the 11th Plan," he said. “However, in order for India’s growth to reach these levels, the world economy should also show positive signs so that our exports get a boost. The decline in exports have already begun to improve so we can hope it will recover further." Bhanumurthy and Pumi Dua, a professor at the Delhi School of Economics, have forecast India’s economic growth since the global slowdown started. Zoellick also said the World Bank will extend more support to India’s infrastructure sector, including for rural roads. The bank has already delivered around $5.3 billion (Rs24,540 crore) to India so far in 2009-10 for improving the power, roads, banking, rural development and water sectors. It plans to raise its commitment to $5.3 billion in the agricultural and rural sector as well during 2009-12. ‘PTI’ contributed to this story.